A must see! Charming home in the city of Montclair. 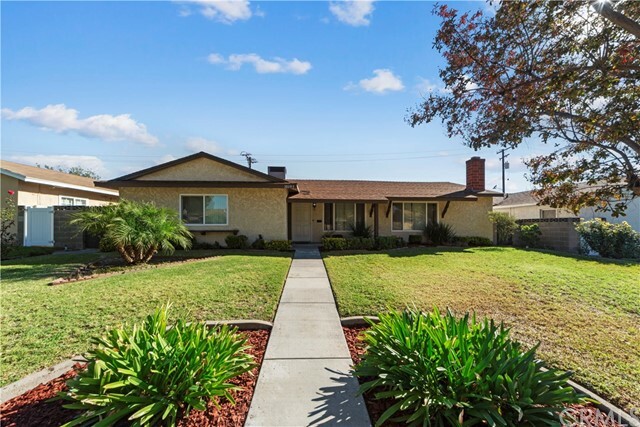 This well maintained and spotless home offers 3 bedrooms, 2 bath, 1,583sqft and a 7,260sqft lot that offers upgrades throughout. As you enter the home you have a beautifully landscaped front yard which shows great curb appeal. The front entry will lead you into the formal living room that branches off into the large family room making it perfect for those family functions. This property has been tastefully renovated offering new flooring, paint, recessed lighting throughout, newer doors and ceiling fans. The kitchen has been recently updated that includes newer cabinets, granite counter tops, new fixtures and recessed lighting. From the kitchen step down to the oversized family room/dining area with an eye catching corner fireplace. With plenty of storage space throughout the home and a separate laundry room making it convenient for those laundry days. Not to forget the open backyard is great for children to run and play while you sit under the covered patio enjoying a glass of lemonade made from your very own lemon tree. This house is perfect for a growing family that would like to make it their own.